Suleemani Keeda rightly brought about the struggles and successes of aspiring writers. The journey to being a script writer is not easy, however the protagonists, Mainak and Dulal turn the world around for themselves with their dedication and love for wordsâ¦ Wouldn't you want to become a writer too after seeing them? Shreyas Talpadeâs sheer passion for cricket and his honesty struck a chord with the cricket lovers. His family's support made him achieve his goal. To all you aspiring cricketers, never say never, just like Iqbal! Didn't you also want to be a scuba diving coach like Katrina Kaif in Zindagi Naa Milegi Doobara?? Or just simply be an advertising personnel creating jingles for products like Farhan Akhtar?? Accept it, You would love to be in their place, wouldn't you? Being a rock star for a living wouldnât be too bad, would it? Strain your vocal chords, jam your way through the day and bam! Your life is sorted! Put your hands up if you want to be a singer. Oh wait; actually audition for Rock On 2, like right now! After graduation, most of the youngsters end up being a sales or a marketing person. If you find such jobs boring then Ranbir Kapoor as Rocket Singh gave us some serious #BusinessmanGoals now, didn't he? Rise, shine and conquer people! Disco suna hai par Fresco nahi?? Well peeps, it's time to acquaint yourself with the interesting career choice that Deepika Padukoneâs character makes in the film. As surprising as it might sound, she was into restoring old monuments and artifacts in India. Now, wouldnât that make for an awesome job? Being an art designer for a film like Sonam Kapoor, an assistant director like Imran Khan in the film, I Hate Luv Storys, or just being in the field of entertainment is reason enough to rejoice! The fascinating careers definitely rise above the normal Don't you agree? Roam the world, be the person behind the scenes and then move on to host a show. For all those travel junkies out there, Ranbir Kapoors career choice in Yeh Jawaani Hai Deewani is what you need to follow! 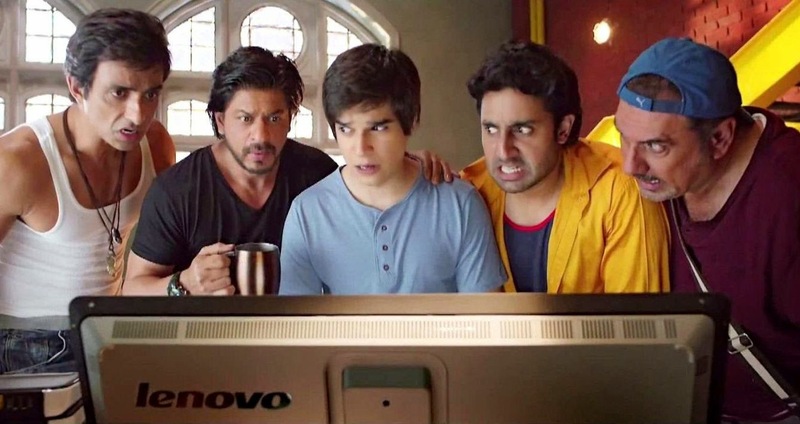 Rohan, played by Vivaan Shah may not have been an ethical hacker in Happy New Year, but you can be.What's the use of all your technical knowledge if you canât put it to good use and be an ethical hacker? Very few people choose to be professional footballers, but if John Abraham has taught us anything from his film Dhan Dhana Dhan Goal is that following your passions is your birth right. Moreover, it taught us that football as a career is far from just playing. It teaches you qualities that no other sport may teach - one of them being working in sync with a team!